Some people are just born musical, they live it, they breathe it, they are music. And Lights is one of them. Writing her first song at age 11, Lights Poxleitner (she legally changed her name from Valerie) was born in Ontario Canada but spent much of her life travelling with her missionary parents. She was discovered as a 19 year old and signed with Sony – but it was a deal that never eventuated. This talented singer-songwriter signed another record deal in 2008, and released her debut album The Listening in 2009. This debut album gained Lights quite a lot of attention – even having one of her songs featured in a TV ad campaign for US clothing store Old Navy. Lights also joined Keane in their 2009 Canadian tour. Siberia is Lights new album, and this really shows the talent of this 24 year old. Only released on October 4, the album is already gaining recognition from the first single, Toes. Lights style is quite unique – you can hear elements of Owl City, Bjork, Ladyhawke, Robyn and MGMT in her music. 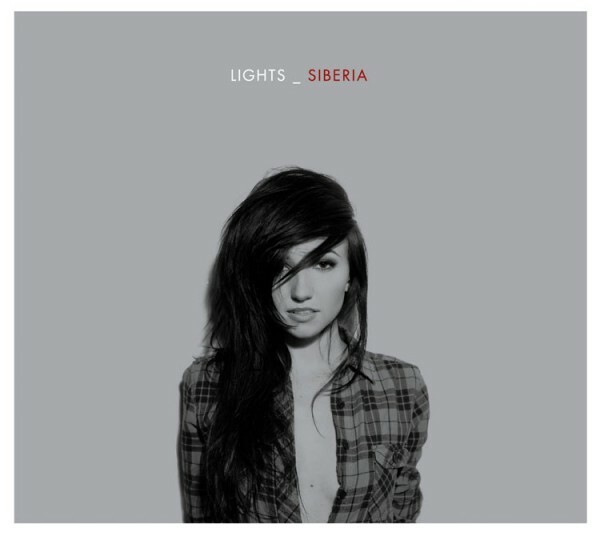 Toes is the lead single from Siberia and we have it here for you below – somehow we think you’ll be remembering Lights!